Produktinformationen "TETRIX® MAX 16 Tooth Sprocket Pack"
Show your power with TETRIX® MAX Sprockets made from heavy-duty aluminum for maximum performance under heavy loads. 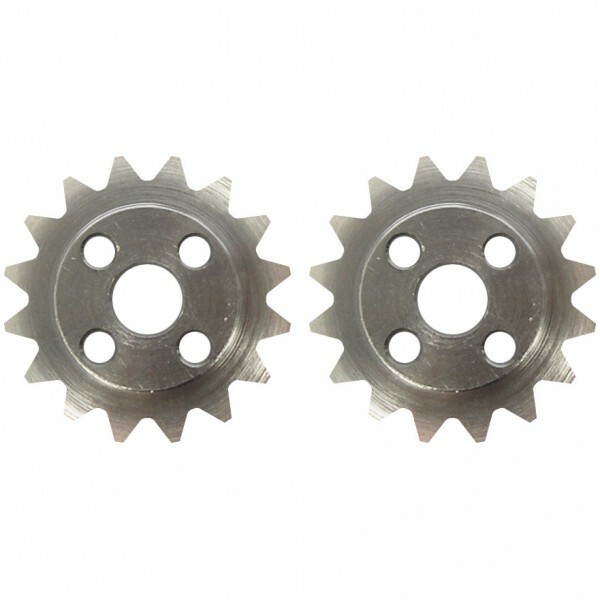 TETRIX sprockets are available in three different ratios and designed to work with the 0.250" TETRIX steel chain. Sold in packages of two. Weiterführende Links zu "TETRIX® MAX 16 Tooth Sprocket Pack"
Weitere Info "TETRIX® MAX 16 Tooth Sprocket Pack"
Kundenbewertungen für "TETRIX® MAX 16 Tooth Sprocket Pack"